I normally spend so much time cranking out tutorials that I never stop to organize things. So, here I will layout a complete Web Design Tutorial. So here I layout the whole Web Design Tutorial. If you have any questions feel free to send them and I’ll do my best to help in whatever way I can. Here you can learn HTML in 15 Minutes, learn xHTML in 10 minutes, or sit back for a deep lecture on both subjects. Either way these 7 HTML and xHTML video tutorials will teach you everything you’ve ever wanted to know about the subject. 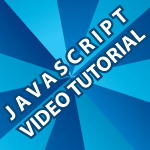 In these 4 videos I show you how to use every property available in Cascading Style Sheets. Every Text, Background, List, Cursor, Div, Span and Table CSS Property. I then teach you how to layout a web page using CSS from scratch. 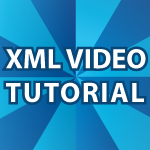 I introduce XML by covering: XML Basics, Explain what it can do, Compare it to HTML, Explain tags and elements, Show you what XML looks like, Explain the encoding attributes and everything else I could think of. This is the largest video tutorial I ever created. 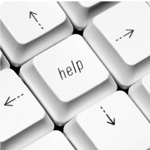 I focus on how to do pretty much anything with PHP and MySQL. There are 24 total videos! 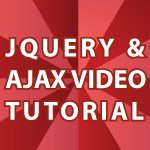 Here is a massive tutorial I did on implementing AJAX techniques with JQuery. I’ve created numerous video tutorials on developing WordPress Themes and Plugins. Here I provide you with an easy location to find all of them. I also cover how to install WordPress on a development system. As well I provide a deep understanding of Taxonomies, Shortcodes, WP Nav Menu, the WordPress database and much more. Why Do I Do This for Free? I get this question nearly every week. It is simple. I like to help people and enjoy knowing that I’ve some how contributed to the world. I also have no hobbies and no friends. Don’t feel bad for me I have two great friends who are my Wife and Daughter. I have to deal with the public so much that I prefer to just spend my time with them. If you really feel the need to help me in some way, all that I ever ask is that you tell people that my site exists. That’s it. I hope you enjoy my tutorials and if you want to see even more check out my Tutorial Index. If you’d like me to do a tutorial for you leave a comment below. If you specifically like an article I’d appreciate it if you’d hit the google + 1 button. That helps alert google that my site is worthwhile. I have been reading some of the stuff that you, Derek, have published on this web site, and I wanted to take a minute to make this post and shout a big “Thank You!” for all the work that you do in order to keep the blog afloat. Thank you so much for making all these tutorials — I’m sure it means a lot for many people, including myself. I hope you continue expanding your collection with more great tutorials, specially –if I may suggest so―- on the Python and Objective-C fronts. Thanks for all the great stuff Derek! Is the new ‘Google Dart’ in your opinion a tool we should keep an eye on?